Rachel Notley is committing to a $1 billion upstream reservoir to prevent catastrophes like the flooding that ravaged Calgary in 2013. Notley announced her plan Friday, noting that downtown Calgary still faces a risk from another 2013 flood. She vowed to move forward, not second-guess the need for protections. 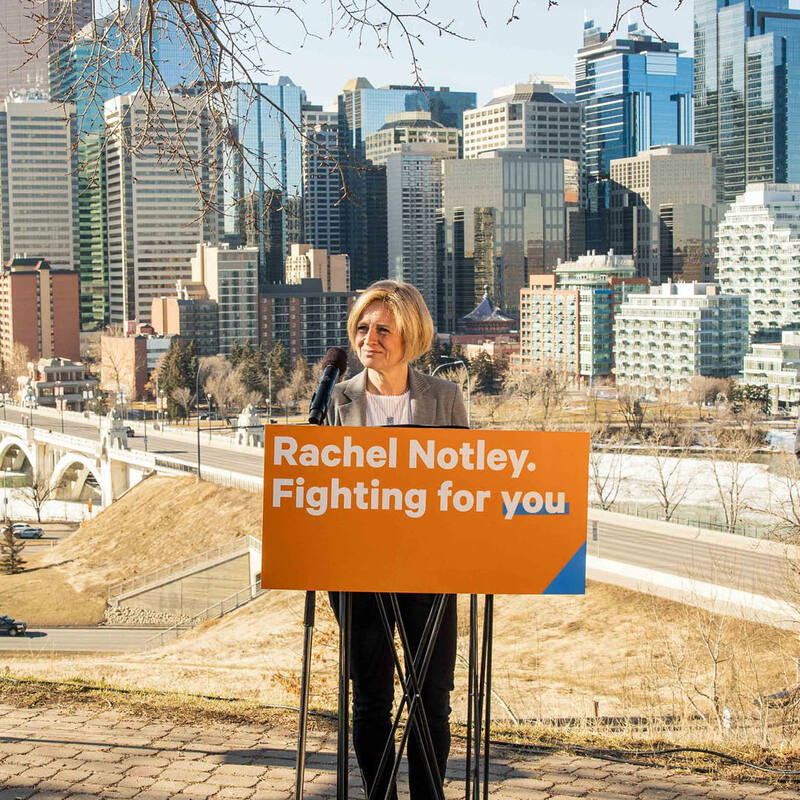 The announcement builds on Notley’s previous commitment to building the Springbank Dam and a $150-million investment in flood protection in Calgary. The new upstream Bow River reservoir will be built using funds from Alberta’s Climate Leadership Plan. Three project options are being considered: Glenbow Reservoir, a new reservoir in Morley, or expanded storage at the Ghost Reservoir. The new reservoir would fully protect downtown Calgary from floods like the one that devastated the city six years ago. When the weather turns, Calgarians deserve a government that says ‘we’re ready,’ not ‘we’re sorry’. The 2013 flood was the largest in nearly a century. Five people died. An estimated $6 billion was lost in property and financial losses were felt across southern Alberta. In 2015, the Notley government committed to a 10-year plan to build flood resiliency projects in Calgary, with hundreds of other measures to prevent flooding throughout the province. Before moving ahead, Notley will consult with communities, Indigenous peoples and concerned Albertans throughout the province. While Notley has worked hard to protect Calgarians, Jason Kenney has been coy about his plans to protect the city. Kenney said he is “not committed” to the Springbank Dam, a project that will protect Calgary from the Elbow River. While the plan has been deemed a priority by flood experts and multiple levels of governments, Kenney wants to wait to hire another expert before deciding. Notley’s announcement comes after Kenney said he welcomed climate skeptics as candidates. Kenney has planned to blow up the Climate Leadership Plan, which helps fund infrastructure to protect Albertans from the effects of a changing climate. Notley said Calgarians don’t need more reports, they don’t need UCP members arguing back and forth. They need dams.